Folks, a few months ago, I teased you all about a short story I’d sold. I couldn’t tell you much about it at the time, but I promised to come back and let you know when I could…then time got away from me. Work intervened. Real life (TM) got in the way of me talking about one of my few triumphs in 2018. 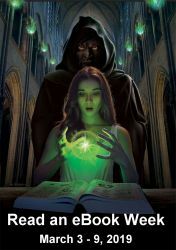 The story “Citadel of Fear” was written for the latest Darkover anthology, itself titled CITADELS OF DARKOVER. The citadel in question could be metaphorical, could be literal; we just had to have our characters overcoming something major, something that could be a citadel of some sort. The editor, Deborah J. Ross, gave us wide latitude in what we chose as a citadel, and that helped me out enormously. In “Citadel of Fear, my character, Miralys n’ha Camilla, is a Renunciate trail and mountain guide. (Think “Free Amazon,” and you’re not far wrong.) She is loyal to her Renunciate sisters, to her clients, and has built a life for herself doing what she enjoys the most: being in the outdoors, guiding clients up and down the perilous Darkovan mountains in all sorts of weather. And then an avalanche drops on her. Literally. How she overcomes her fear and takes up her job again is the focus of the story. Because it’s for the Darkover universe, I was able to use a weak psi-talent (called laran) to help her out a bit. But mostly, Miralys can only overcome her citadel of fear by using her mind, heart, and spirit; if she refuses to give in, she can keep going, and reclaim herself as best she can. It took me somewhere between six or eight drafts to write this 4500-word story. Miralys was a tough nut to crack. She was incredibly closed at the start of this story (well, once the avalanche dropped on her, at any rate). She was not in a good place. And she didn’t have any idea what she was going to do next, or how she was going to do it. She takes up the mantle of living again because she has to guide five young women down the mountain, as the price for her extensive healing. (Yes, she’d normally do it anyway, but without having to do it under these circumstances, she’d have balked.) She isn’t well. But she has to help, and so she does her best, until a very bad situation–one somewhat reminiscent of what she’s lived through in certain respects–arises. Because I want you to read this story, I can’t tell you more than that. But I can say this: if you like stories with heroes or heroines who realistically overcome their fears, you will enjoy “The Citadel of Fear.” Guaranteed. So, there you have it! And I do hope you’ll enjoy the story, and the rest of the anthology, when it comes out next year. Recently, at the Washington Post, I read an article about how transgender men have seen differences in how they are treated based on their outward appearance. Born in a woman’s body, and then becoming the male they feel themselves to be inside, causes them to see the world in a completely different way than others. When I read this, it reminded me of my character Elaine Foster from CHANGING FACES. Why? Well, here’s a quote from that article. So, you’re the same person. You have only changed how you look, outwardly. And now, you’re accused of “mansplaining.” Or worse, “asserting (your) white male heterosexual privilege,” even when you aren’t anything of the sort (as Zander isn’t). What Alex seems to be doing is trying to strike a happy medium, but admits there are privileges here and that he’s not used to them. How does this relate to my novel CHANGING FACES? Well, Elaine is transgender because she’s always felt wrong in her body. And yet, she’s also gender-fluid, so if she became male, what would happen to her? Would it be easier, harder, or what? And how would you be the same person — as you are the same soul — in a different body? I had an interesting time with Allen, once he ended up in Elaine’s body. He still wanted to be with Elaine, no matter what body she was in (providing she wakes up from the coma, of course). But being seen as a beautiful woman rather than a geeky heterosexual male was a real problem for him; he’d never had to worry before about half the things he now must, and it all but precipitates a nervous breakdown in the poor man. Yesterday, Viviana MacKade’s Fall Book Fair (which I’ve talked about all week) finished up with several young adult and new adult books, including CHANGING FACES (which counts as new adult as we’re dealing with college students). All of them are ninety-nine cent e-books. And at least one of them may tickle your fancy, even if my own quirky take on LGBTQ relationships does not. So do take in the Fall Book Fair, even though it’s now — technically, at least — over. The post is still there. The books are still there. And there are fifty books from the entirety of the week to choose from, all priced at just ninety-nine cents. Folks, over at Viviana Mackade’s blog this week, she’ll be featuring all sorts of books that are on sale right now (as e-books) for ninety-nine cents. And the first set of authors are up now — ten books, ten authors — so I figured I’d write a little bloglet and let you know this is going on. Note that later this week, my booksAN ELFY ON THE LOOSE and CHANGING FACES will be part of the fair…so I will be promoting this book fair, and I hope you will check it out also. Folks, I’ve written about disappointment before. (Many times, in fact, with my most recent example being here.) But it seems to be a good time to write about it again, and I have a different take on it…so why not? I have known some other authors besides myself to have intense struggles getting their work before the public. They’ve put their books out there, and gotten no response at all. They’ve slaved over their creations, taken care of the edits, the book covers, tried to get reviewers interested, all that…and still, nothing happened. Some of success is being in the right place at the right time. I know one author rather well — Loren K. Jones — who put out several novels in late 2009 and early 2010. None of them did much. He was, I believe, extremely frustrated at the time, and thought no one cared about his writing. Loren’s not the only one I know who’s had this sort of thing happen, but he’s possibly the best example right now. So why am I talking about him, when the theme is disappointment? Well, sometimes you have to learn how to roll with the punches, keep your chin up, and keep trying. That is what Loren did. It’s what I’m trying to do, too. Do your best to fight on, no matter what odds you face. Believe in yourself, and your dreams. Work hard, learn much, and keep fighting.